NOTE: Since this list was originally posted, Pisotorius has been charged with murdering his girlfriend. It has not been officially proven yet. Nevertheless, I won’t be using his story in class. I’ve previously posted a lot of resources about Oscar Pistorius in The Best Sites For Learning About The London 2012 Olympics. I’m bringing those together and adding a lot more in this new “The Best…” list. I’ve used his story in class to help students learn the word and concept of perseverance, a quality that research has found to be critical for successful language learners. Blade Runner: Pistorious makes it to semifinals of Olympic 400 is an interactive from The Associated Press. 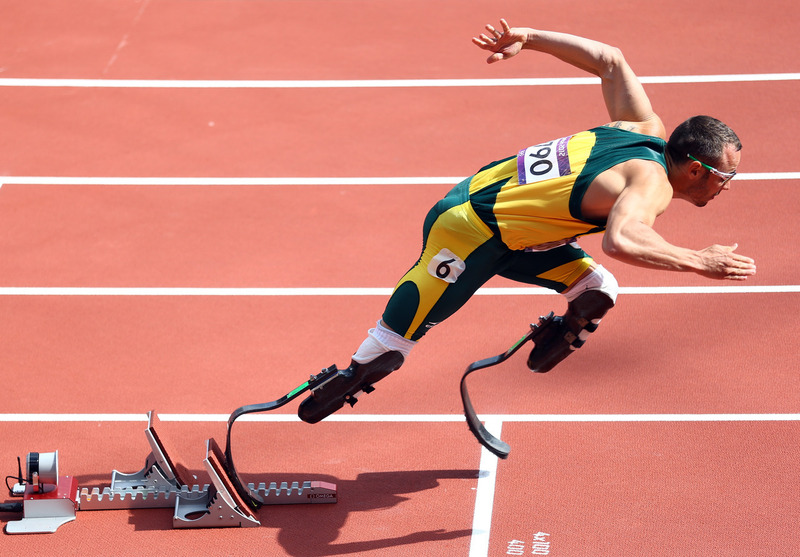 Oscar Pistorius Makes Olympics History is a slideshow from The Huffington Post. 10 Things You Didn’t Know About Olympic Runner Oscar Pistorius is from TSM Interactive. ‘Blade runner’ Pistorius handed dream double Olympic ticket is a CNN article and video on double amputee sprinter Oscar Pistorius qualifying for the Olympic Games. I’ve embedded the video below, but you might have to click through to view it if you’re reading this on an RSS Reader. You can read more about it in The New York Times article, In First for Olympics, Amputee Will Run. I’ve also embedded a video from ABC News. Oscar Pistorius: let’s put it to rest the controversy and celebrate his achievement is from The Washington Post. Oscar Pistorius finally gets to seize his Olympic moment is from NBC, and includes a video of his run that qualified him for the semi-finals. Here’s a great photo of Pistorius. Blade Runner in Olympics 400m Semi-Final is a Breaking News English lesson. Pistorius Fails to Make Final is from The New York Times.